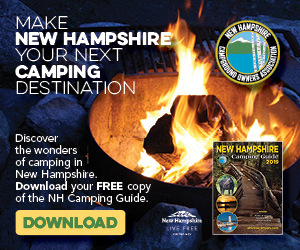 From strolling in a historic downtown to hiking up a steep mountainside, New Hampshire offers more places to enjoy the state on foot that you can imagine. Most of the state parks, including in rugged and mountainous areas, welcome hikers and walkers of every level of skill and strength. Besides mountain walks, there are easy walks near beaches and salt marshes, and walks in historic downtown neighborhoods. 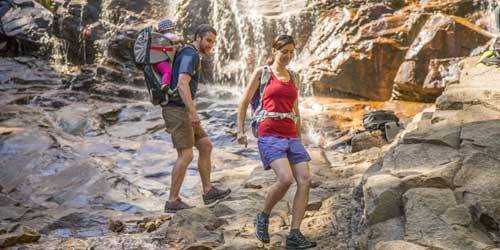 Enjoy a nature walk or rigorous hike with the family lodging to see New England beauty up close. The hiking and walking options at Waterville Valley, a historic resort surrounded by 700,000 acres of magnificent national forest, are nearly limitless. Using the village’s Adventure Center as your home base (it’s steps from all the lodging options), plan a heart-thumping hike up Mount Osceola, where you can also “chimney” down a short rock face, choose to ascend another 4,000-foot mountain peak or opt for an easy-walking path through the woods and across brooks and streams. After all, there are over 100 miles of well-marked scenic trails to choose from for every level of hiking ability, and each comes with breathtaking views and crisp, invigorating mountain air. A visit to America's Stonehenge in Salem, New Hampshire, is a great activity for those who enjoy hiking and walking. You'll find yourself wandering among boulders and pines in a wild but beautiful spot, about which fantastic tales might be woven. About 30 acres of these woods are an archaeological site, where you'll find ancient megaliths, stone chambers, and a weird maze of stone markers. Who built these structures? Were they colonial farmers, Native Americans, or, as some suggest, visitors from the Old World prior to Columbus who lost their way in the Atlantic Ocean and found themselves on New England's shores. Through the years scholars have suggested Phoenician mariners, ancient Druids, Vikings, or Irish wanderers. Tour the site, and give us your opinion. Purity Spring Resort offers clean mountain air and varied terrain for walkers and hikers to explore New Hampshire on foot. Take the whole family on an easy hike of 15-90 minutes on Audubon Trails on the eastern lakeshore that pass through farm pastures that have evolved into old growth forests. 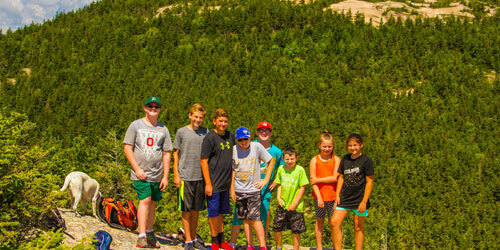 With a bit more effort, a variety of moderate hikes on well maintained trails lead you to great views of Maine mountain ranges and the Green Mountains. The Nordic Ski trails have 22km of well-marked trails around Lake Purity. Easy to trek you’ll find the occasional incline for a good cardio workout. One favorite trail leads from the resort to Sunset Beach. Trail maps are available at the Main Office. This is a place of spectacular mountain views, hiking trails, and waterfalls. Hikers can expect to see magnificent views. Hiking information. The Flume is a natural gorge extending 800 feet at the base of Mount Liberty. The granite walls rise 70 to 90 above the gorge and are about 15 feet apart. You may walk through just the Gorge or do a two-mile loop or trails and stairs. Prepare for uphill walking and lots of stairs. The boardwalk allows you to examine the flowers, ferns and mosses found here. A trip into the Flume begins and ends at the Flume Visitor's Center. A 15-minute movie at the Visitor Center provides an introduction to Franconia Notch State Park and the Flume Gorge. Kids are invited to explore the Wolf's Den. Open mid-May to late October. Check for seasonal changes in hours. This walk through several habitats along the Gulf of Maine traces the geological history of this coast. In ancient times, Odiorne Point was covered by dense cedar forests. After the last glacier retreated it left a jumbled beachfront deposit of quartz, sandstone, shale, and lime rock. An extensive network of trails wind through the dense vegetation and traverse the park. Not far from the trails, you can picnic on the shoreline and enjoy sweeping views of the ocean. Trail map. Please be aware that many State Park areas and trails are not staffed during the off-season, and day-use fees ($2-$4 in season) are not collected. Mink Brook Nature Preserve, just south of Hanover and managed by the Hanover conservancy, is a 100-acre nature preserve of white pine and hemlock, and the home of brook trout, bears, and lots of flora. The property has two brooks: Trout Brook, which winds northward to join Mink Brook, and Mink Brook, a tributary of the Connecticut River. Two trails offer a variety of walking terrain. The easier Quinn Trail is accessible to strollers and wheelchairs. It runs along the north side of the brook and connects trails west of Route 10 with Route 120. Grades are gentle with a few moderate slopes. The Wheelock Trail heads east to Buck Road on a sometimes narrow, rocky path, and west to Route 10. The red-blazed Indian Ridge Trail and orange-blazed Sachem Connector Trail lead south into Lebanon and can be difficult to follow after leaving the preserve. Leashed dogs are allowed; please clean up after your dog. Fishing is permitted; trapping, hunting, and fires are not allowed. The Hanover Conservancy manages this preserve, which crosses a beautiful landscape as it climbs up the ridge and connects with the Appalachian Trail near Velvet Rocks. Guide. To get here: For Oli’s Eagle Trail & Silent Brook Trail: From Greensboro Road, turn onto Velvet Rocks Drive and continue to the trailhead parking area at the top of the road. Also for Silent Brook Trail: From Greensboro Road, turn onto Silent Brook Drive, turn right, and park beyond the neighborhood parking area. The trail begins at the upper northeast corner of the development. Please respect the privacy of the residential communities on your way to and from the natural area. No overnight parking is permitted at the trailhead area. 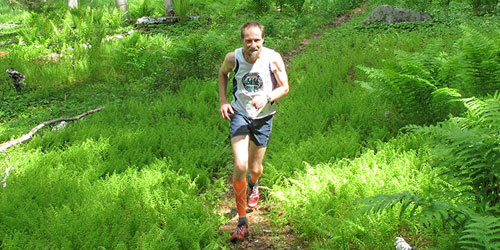 Trails: The Greensboro Highlands Trail (0.6 miles), reveals the property’s natural features. It links existing trails to create a new loop past dramatic rock faces and more. Vertical gain is about 300 feet. The trail is for foot travel only. 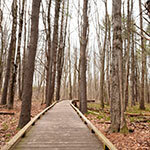 Oli’s Eagle Trail (0.5 miles, foot travel only), connects to the Appalachian Trail in a 20-minute hike, traversing easy-to-moderate terrain. Sections of the trail pass over rocks and boulders. Silent Brook Trail (0.4 miles), where mountain biking is permitted in addition to hiking, connects the Silent Brook and Velvet Rocks neighborhoods. Trail map. Rollins State Park is on the south slope of Mount Kearsarge. A three-mile scenic auto road rises from the park entrance through woodlands to the parking and picnic areas. The picnic area has views from Mount Monadnock to the state’s coastal plain. A one-half mile trail to the summit of Mount Kearsarge leaves from the picnic area. Portsmouth is a picturesque colonial-era town on the bank of the Piscataqua River with wonderful views, shops and restaurants. The trail passes more than 70 points of scenic and historic significance, including ten buildings on the National Register of Historic Buildings, ten National Historic Landmarks, and three historic homes. Walking tours of the Portsmouth Harbor Trail from June through October can be arranged by calling 603-610-5518. Three separate walks take you through or past Market Square, the heart of downtown; Prescott Park on the river; Strawbery Banke; and historic churches and mansions. Hours: Tours offered July 4 through Columbus Day, 10:30 a.m. and 5:30 p.m. on Thursday, Friday, Saturday, and Monday; and 1:30 p.m. on Sunday. Located at the south end of Great Bay, Sandy Point offers mixed habitats and wide open views of the Bay. The site includes a 1,700 foot wheelchair-accessible boardwalk. The area is good for see migrant birds as they pass through to their wintering or nesting areas. Open June - October. Map. This giant park has 40 miles of trails through forest, hilltops, and marches. Trails are open to hikers, mountain bikers, and horseback riders.. This island is 112 acres with 2.7 miles of undeveloped shoreline. Come to enjoy a peaceful walk on a network of trails. One trail leads to the highest point on Lake Winnipesaukee. Docking for power boats is available at a dock on the northeast shore of the island, across Sallys Gut from the mainland. The island also can be reached by paddle, canoes, and kayaks. The trails, which are signed and blazed, extends from the dock to points of interest elsewhere on the island. The walking loop around the island is 1.5 miles long. Open July - Labor Day. Located on the northern shore of Newfound Lake, the Newfound Audubon Center is comprised of three wildlife sanctuaries, the Paradise Point Nature Center, Ash Cottage at Hebron Marsh Sanctuary and the Bear Mountain Sanctuary. Trails in each of the three sanctuaries are open year-round to bird watchers and hikers, Nordic skiers and snowshoers. 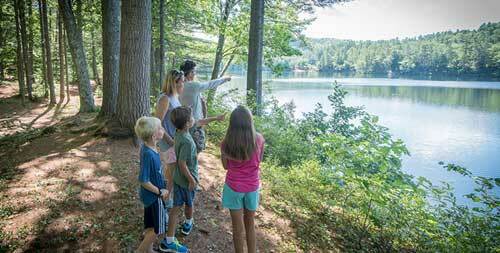 Paradise Point and Hebron Marsh extend to the water’s edge, allowing visitors to experience more of Newfound Lake’s habitat, while Bear Mountain’s hillside habitat exhibits New Hampshire’s woodlands. More about Paradise Point Nature Center and trails. More about Hebron Marsh and trails. 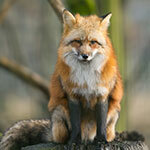 More about Bear Mountain Wildlife Sanctuary and trails. This is a sidewalk stroll along the seacoast of Rye Beach. Stroll and enjoy views of the offshore Isle of Shoals; Rye Harbor Marina, where fishing boats trundle in and out of the granite breakwater; the small Rye Harbor State Park sticking into the ocean; Wallis Sands State Beach; and the many tidewater inlets on the west side of the road. Check a map and decide where you want to start the walk. It is out-and-back along the shore; not a loop. 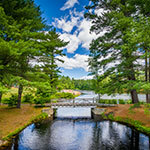 The Castle in the Clouds Conservation Area is 5,000 conserved acres with 45 miles of hiking trails to waterfalls, views from mountain summits and outlooks, signs of wildlife, historic sites, and interesting geological features of the Ossipee Mountains. This property is part of the Ossipee Mountain ring, a circular formation of volcanic origin. Seven of the Ossipee Mountains’s biggest peaks are on the Castle property, including Mount Shaw and Bald Knob, with its view of Lake Winnipesaukee. The trails are well maintained, marked, and mapped. Two trailhead parking areas are free and open to the public for getting onto the trails during the day. One is on Route 171 and the other is at the end of Ossipee Park Road. A helpful hiking trail map is available for purchase. The Lincoln Woods Trail follows an old railroad grade. It starts at the Pemigewasset River suspension foot bridge. The trailhead has a ranger station and visitor center, bathrooms, and information about weather and walking conditions. The trails include Lincoln Woods Trail, Pine Island Trail, East Side Trail, Osseo Trail, River View Loop, Pemigewasset Wilderness, Flume Slide Trail, Black Pond Trail, Franconia Brook Trail, the Wilderness Trail, Cedar Brook Trail, Lincoln Brook Trail, Bondcliff Trail, and others. The Franconia Brook Campsite is on the East Side Trail. Distance: Three to six of easy walking . Beaver Brook Association is a protected area of 2,187 acres of forest, fields, and wetlands with 35 miles of trails. The trails are designated by blue rectangular markings for multi-use, which allows horse and bicycle traffic, and yellow triangular markings that allow only hiking and cross-country skiing. Trails are open year-round, daily, dawn to dusk. The park has a scenic trail around the lake for views of Cathedral Ledge and also trails to take visitors to the top of the ledge itself, with expansive views of the White Mountains. Trail map. Red Hill, in the Lakes Region, is a popular hiking spot due to the stunning panoramic views from the fire tower. 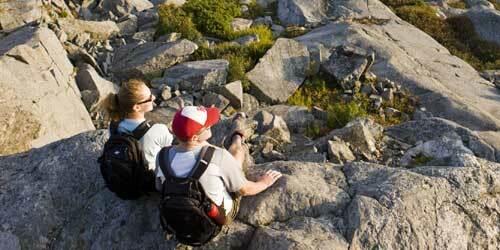 Hikers can see Lake Winnipesaukee to the southeast and Squam Lake to the west. This is a short hike of 1.7 miles to a fire tower; elevation gain is 1,370 feet. Low to moderate difficulty. Distance is a total of 3.5 miles. 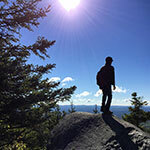 This is a point-to-point hike running across seven named peaks of the Squam Range in the Lakes Region of New Hampshire. There are ample opportunities for views and lots of walking (and scrambling) on open ledges. The elevation gain is 2,900 feet. Blue Job Mountain has one of the best views in southern New Hampshire, encompassing Mount Washington, Mount Monadnock, and the Atlantic Ocean. It is a short -- one mile -- and easy walk to the fire tower. There are two routes to the summit and they both start from the same parking area. Directions: From Route 202A head north on First Crown Point Road. Take First Crown Point Road 5.3 miles north. The trailhead parking area will be on your right just beyond the height of land. This nature center is set on 30 acres, and features trails through woodlands and fields. Admission is free, and the sanctuary is open year-round. The Dover Chamber of Commerce offers three self-guided walking tours of historic sites: The Pine Hill Cemetary, the Old Mill and the Riverfront, and a tour of Dover's historic homes. Extensive hiking trails to elevated lookout, marsh, glacial field. Trail map. Hiking information. See full description of Pawtucketaway State Park. This area features hiking trails, picnic areas and educational programs. The Rocks Estate has an extensive trail system open daily from dawn to sunset. Maps are available at our information kiosk near the parking lot. Dogs are welcome on leash. Scrapbook Memory Trail meanders past the Tea House and Formal Gardens, the Carriage Barn, and the Tool Shed, with a winter stop at the fire pit, and great views in all seasons. (0.8 miles/easy). Heritage Trail leads wanderers through woods and meadow, pausing at 20 sites along the way to tell the history of The Rocks estate. (1.5 miles/easy). This is a pleasant and easy 1.5-mile loop hike into a peninsula jutting into the Great Bay tidal estuary, with views of the bay and sea life all around as you traverse meadows and woodlands. you can see Great Bay almost every where along the trail. Piscataqua River feeds Great Bay from the Atlantic, creating a tide-influences variety of salt marsh and tidal creek environments. This 2-mile climb, rated moderate-to-difficult, takes the hiker to a magnificent view of Lake Winnipesaukee and the Ossipee Mountains from Belknap Mountain from the fire tower at the summit. Elevation is 740 feet. You have a choice of well-marked red-blazed or blue-blazed trails. See website for trail descriptions. Directions: To reach Belknap Mountain, turn off Route 11A at Gilford and drive south through Gilford Village. Stay on this road past the high school (road makes a sharp left turn) and you’ll begin your climb up Belknap Mountain Road. Follow the road up until you see signs and a parking area on the left. Peirce Island, part of the city of Portsmouth, is in the Piscataqua River near the south end of Portsmouth. It has salt marshes, tidal pools, rocky cliffs, and meadows. The island has several easy walks on trails that lead to five waterfront overlooks. The overlooks give you views of the Naval Shipyard, the historic south end of Portsmouth, and the three Piscataqua bridges. The island’s Pine Grove area has a wooden bridge, stone benches, picnic tables and a beautiful water vista. 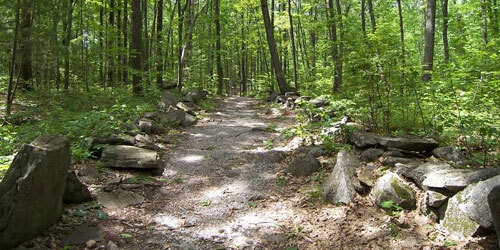 Boulder Loop Trail is a 3.1-mile loop trail in the forest, with lots of big boulders for kids to climb. The trail may be used from May until October. Dogs may this trail. The loop has good views from the top. Some rocky surfaces may be slippery when they are wet. In the spring or after a heavy rain, certain areas may show small washouts. See map. A sweet walk through a New England college town, including a short trip around a recreational pond, is yours in the center of Hanover, home to Dartmouth College. You are surrounded by both traditional and modern college building and sites, among with stores and eateries that serve the student community. 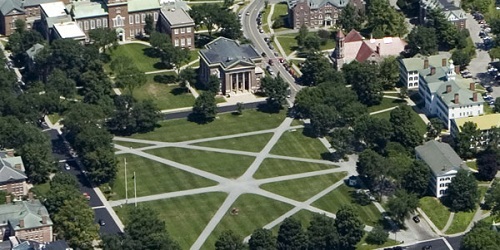 From Dartmouth Green, which is bracketed by North Main Street, East Wheelock Street and College Street, walk northward on Main Street and take a left onto Webster Street, moving through the frat house neighborhood and past the college president's house. Turn right onto Occom Ridge and pass between Occom Pond and the Connecticut River. At the end of Occom Ridge, a right turn onto Hilton Field Road and another right onto Rope Ferry Road will return you North Main Street and the center of town. 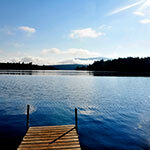 This park on the shore of Newfound Lake has nice nature trails and hiking trails inside and outside the park. A nature trail offers a picnic grove and plant identifications. Another exterior hiking trail from the park leads to the Sugarloafs Mountains, Bear Mountain, Welton Falls, and Mount Cardigan.